Size: 50 x 65 cms. 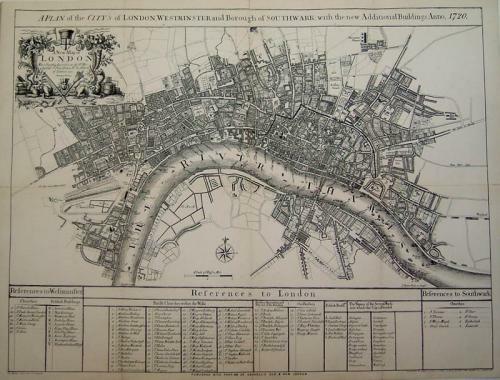 An interesting map that were produced in the nineteenth century in 'Cassells Old and New London' based on the earlier John Senex work of 1720. The condition is good with a clean strong image and only minor repairs to the original folds.